Cost is negotiated once your proposal has been received at which time you will receive a job quote. 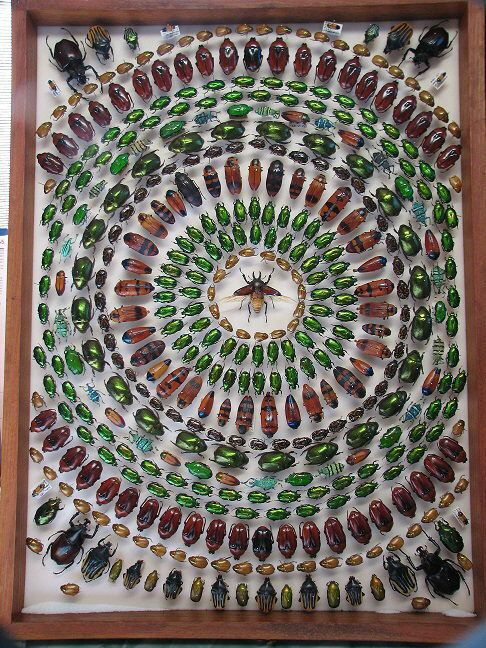 A completed insect art project called the shield box, wall mounted with a wooden frame. 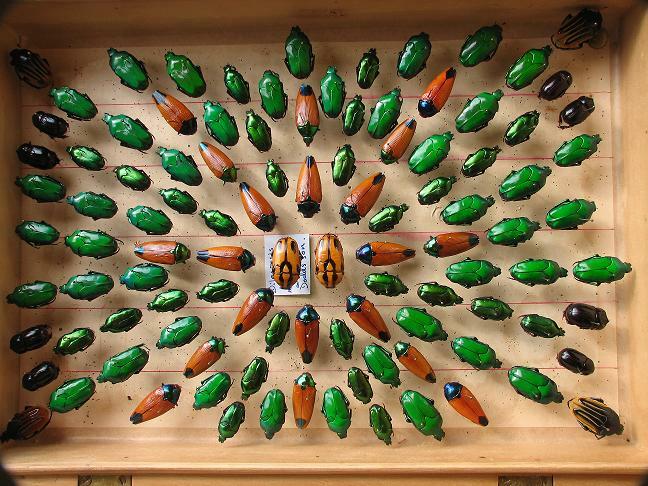 This box contains a wide range of colourful beetles such as flower scarabs, spectacular jewel beetles, weevils and rhino beetles. 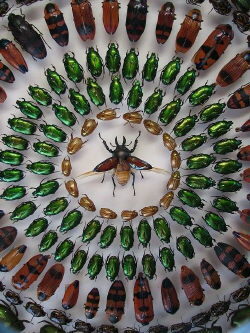 Feature beetle in the middle is a stag beetle with its wings out in a flying stance. Each display is a one-off individual piece. 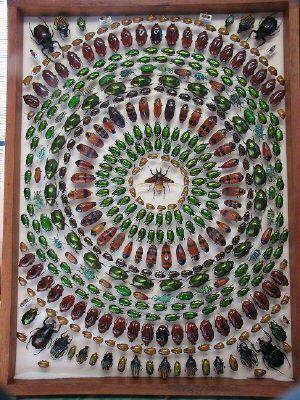 A beetle display under construction. At this stage the insects have been prepared and the pattern has been selected by the client. This display was then housed in a wall hanging unit.